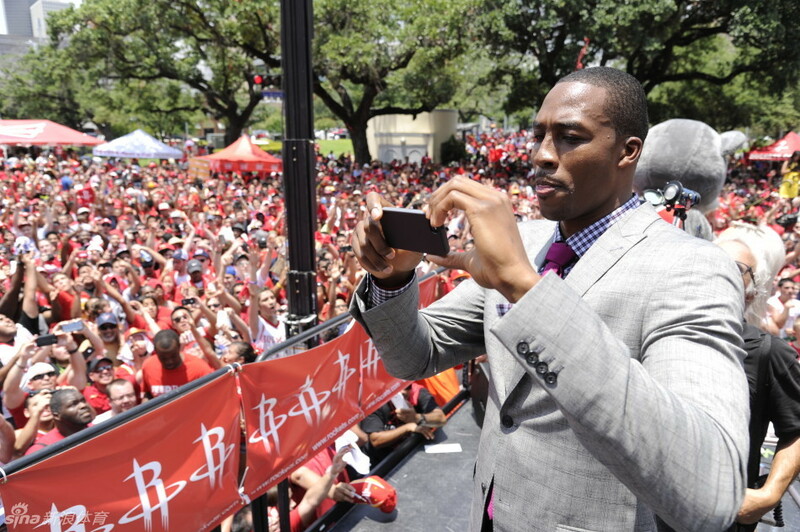 It was the second consecutive year of NBA Nation, the NBA's largest mobile basketball playground, in China; the roadshow started from May 31 and will last on August 18, touring 12 cities giving fans the chance to enjoy basketball contests, interact with NBA players and pose with the Larry O'Brien NBA Championship Trophy. 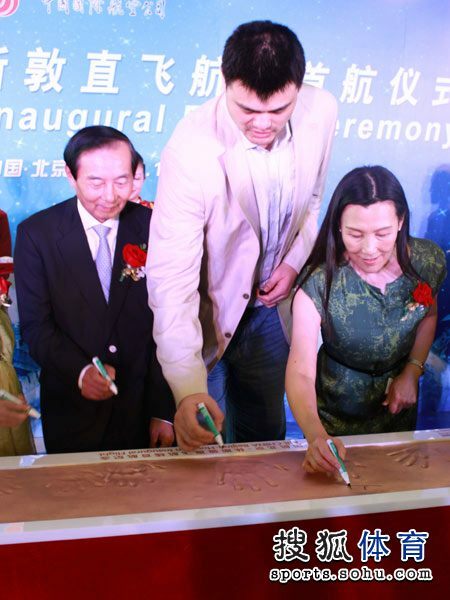 The roadshow finally arrived at Shanghai last Friday. 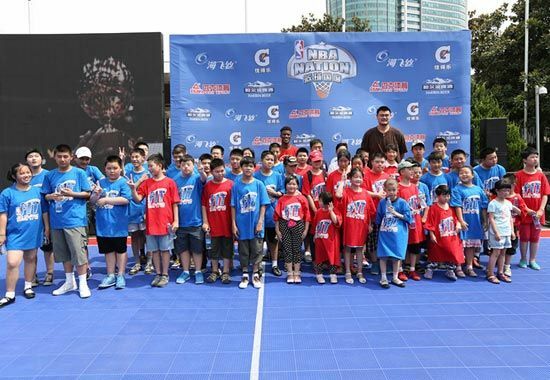 Yao Ming showed up in the event early that morning together with Jimmy Butler of Chicago Bulls to teach school children from 2 primary schools in Shanghai some basic basketball fundamentals including shooting. Here are some photos of that activity that morning. 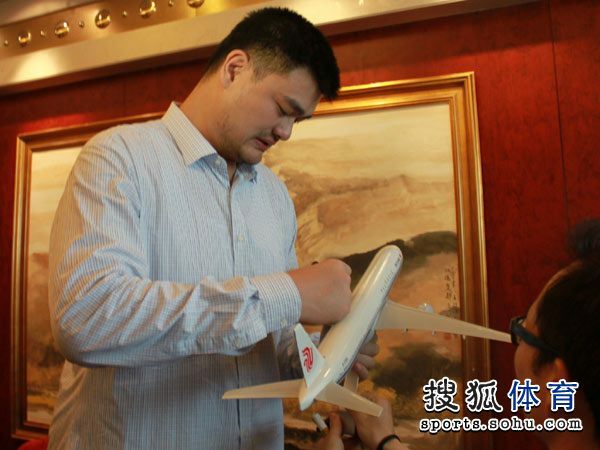 Yao Ming left Beijing for Houston today (July 11). 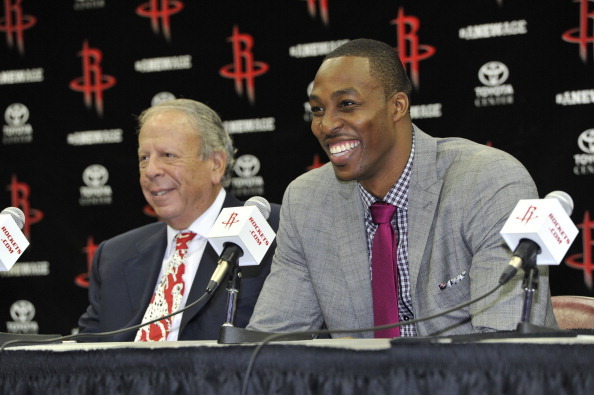 You would think that he flies to Houston just for the purpose to welcome Dwight Howard on July 13 as a new Houston Rockets. 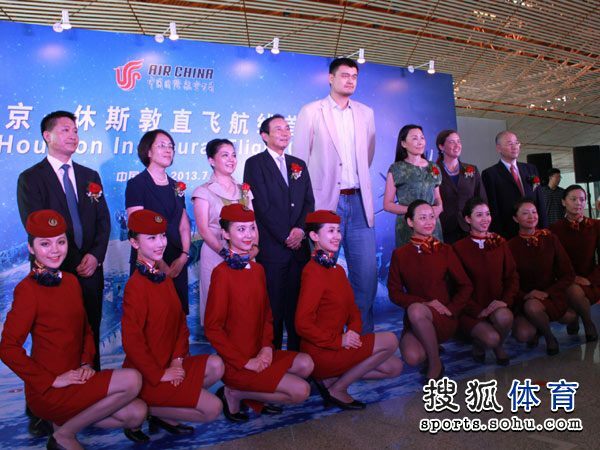 July 11 is the date marked for Air China's inaugurial non-stop direct flight between Beijing and Houston. 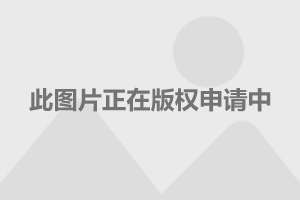 For all the past 3 decades, Air China, the national carrier of China only provides non-stoip flights to 3 US cities (New York, San Francisco and Los Angeles). 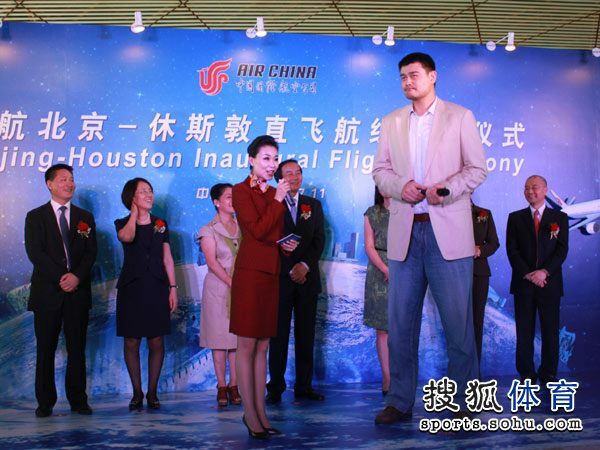 Houston is only the 4th city Air China added to provide non-stop flight services. 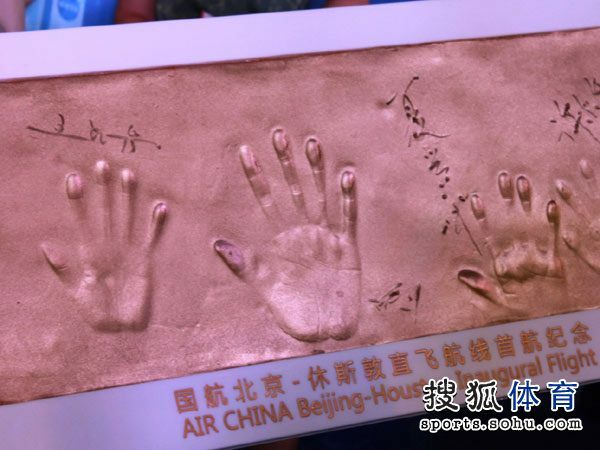 From today onward, Air China will operate four weekly flights from Beijing Capital International Airport to George Bush Intercontinental Airport (IAH) on Boeing 777-300ER. 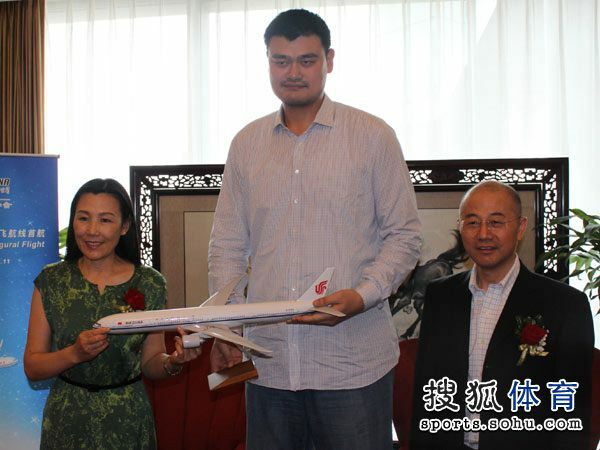 So as the Goodwill Ambassador of Houston, Yao Ming is invited as Guest of Honor for Air China's inaugural non-stop direct flight Beijing ~ Houston. 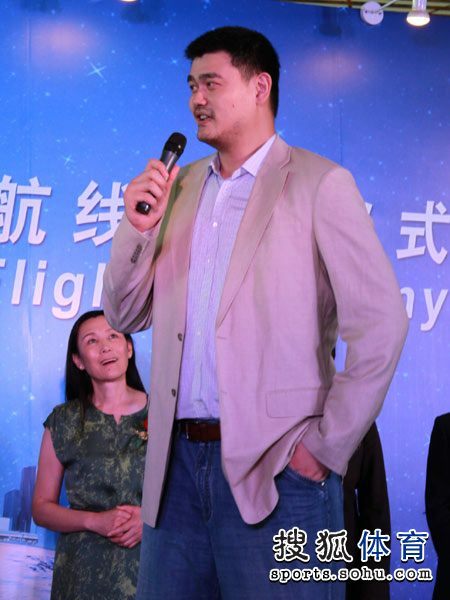 Here are photos of Yao Ming at Air China's inaugural ceremony of non-stop flight services from Beijing to Houston in Beijing Capital International Airport. Air China's inaugural non-stop direct flight from Beijing, CA995, arrived Houston 15:40 pm in the afternoon of July 11 (USA ET) to a Texas sized welcome, including a traditional water cannon salute, as well as traditional Chinese lion dance. Houston Mayor Annise Parker went there personally to greet the delegation from China led by Ms. Yinxiang Wang, Co-Chairwoman of Air China Limited. 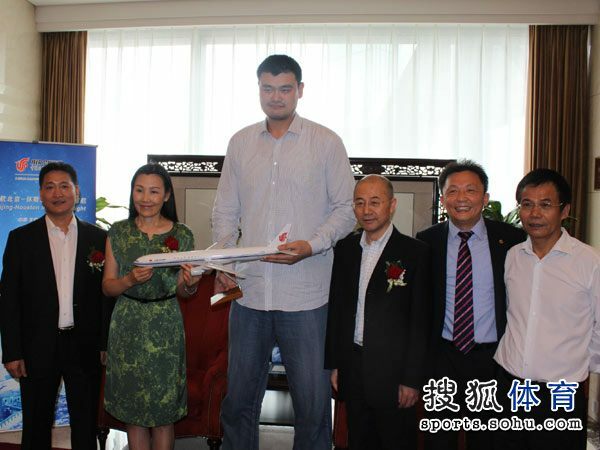 Yao Ming was amongst a few previleged VIP/guests of honor within the Chinese delegation. 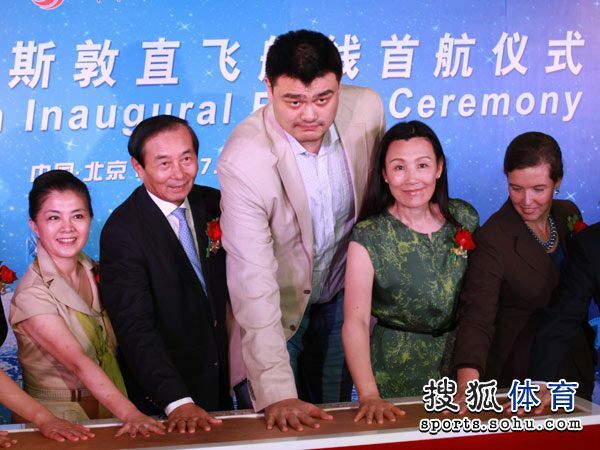 Presiding at the red ribbon cutting ceremony were (from left to right): Yao Ming; Houston Aviation Director Mario Diaz; Houston Mayor Annise Parker; Co-Chairwoman of Air China Limited, Ms. Yinxiang Wang; Chinese Consul General for Texas and seven U.S. southern states and Puerto Rico, Erwen Xu; Air China's Vice President and General Manager for North America, Dr. Zhihang Chi. 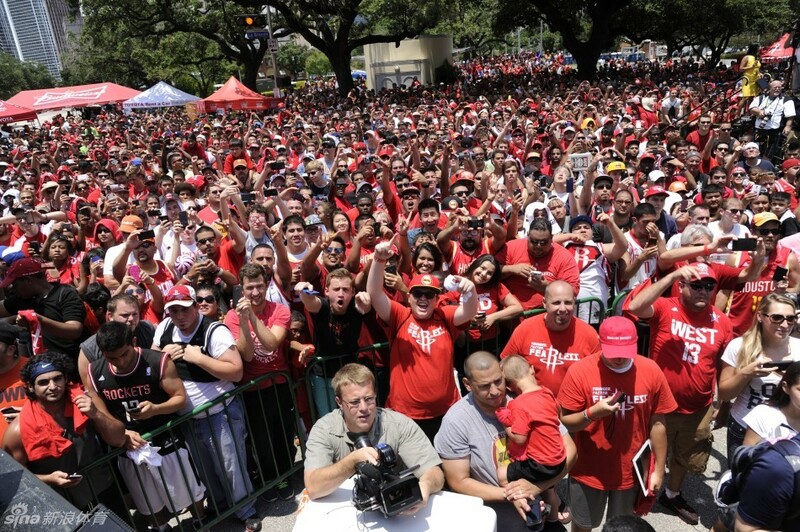 Here are photos fresh from the scene at George Bush Intercontinental Airport (IAH). 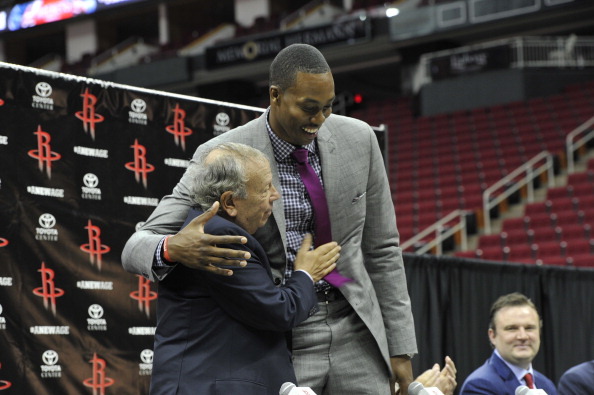 Yao briefly in the video at Howard press conference. 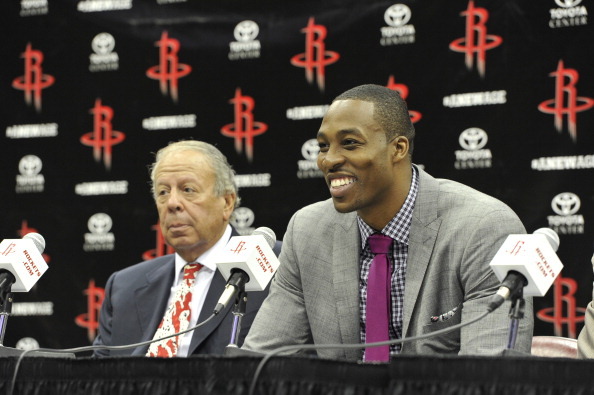 An all-smiling Dwight Howard at the press conference. 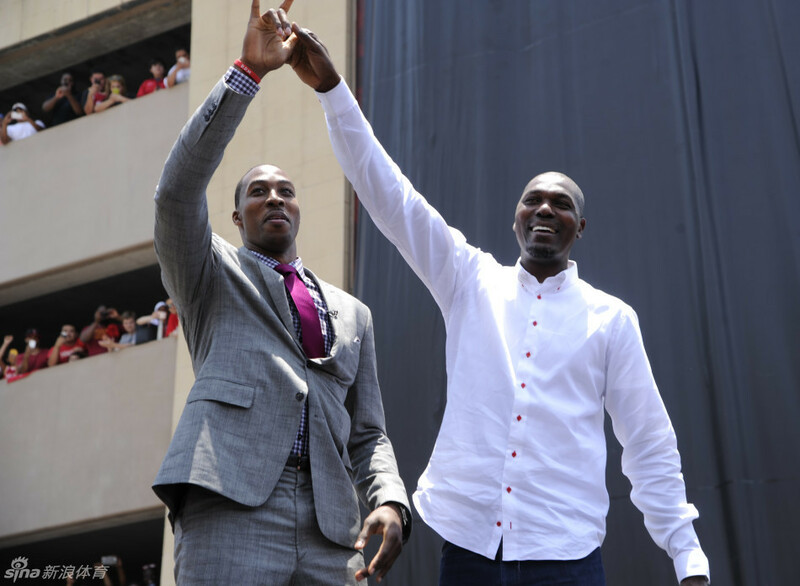 Houston Rockets had summoned/invited all their past legends to the press conference: Elvin Hayes, Ralph Sampson, Moses Malone, Hakeem Olajuon, Calvin Murphy, John Lucas, Sam Cassell, Clyde Drexler and Yao Ming. 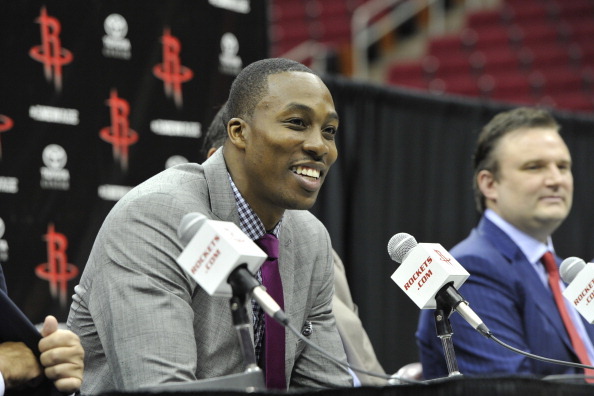 Current Rockets: Chandler Parsons, Patrick Beverley and Greg Smith were also there. 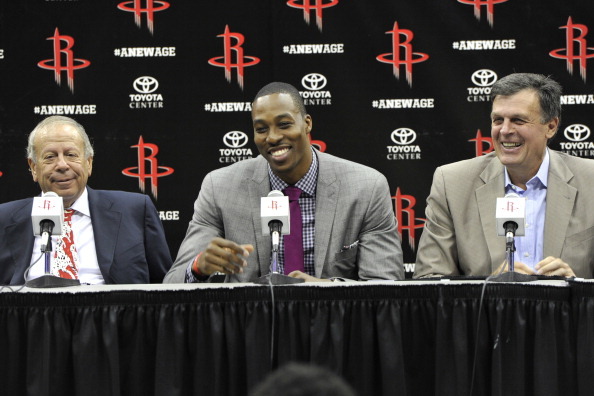 Yao Ming sat together with Clyde Drexler and Hakeem Olajuwon, and kept very low profile at the press conference. 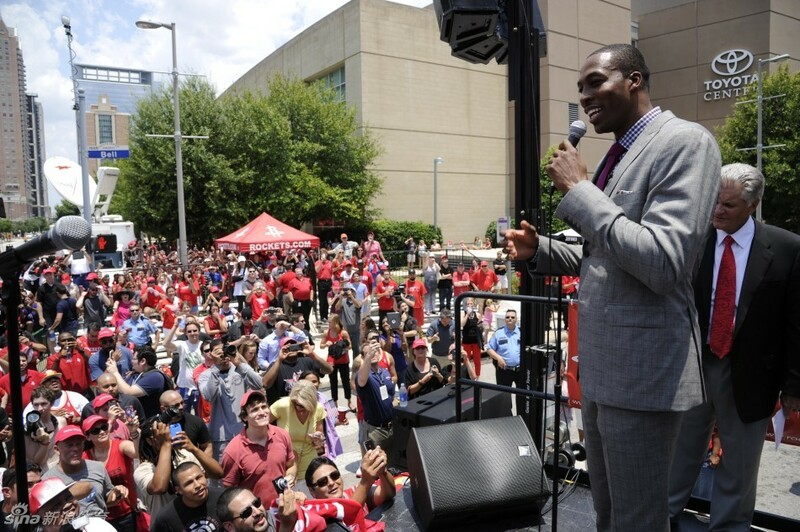 But he joined in alot of the photo-ops with Dwight Howard and the other past Rockets legends afterwards. 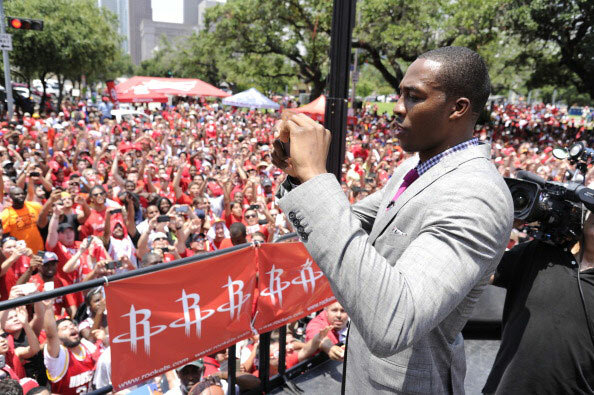 Photos of Dwight Howard thanking the Houston Rockets fans outside of the Toyota Centre right after the press conference. 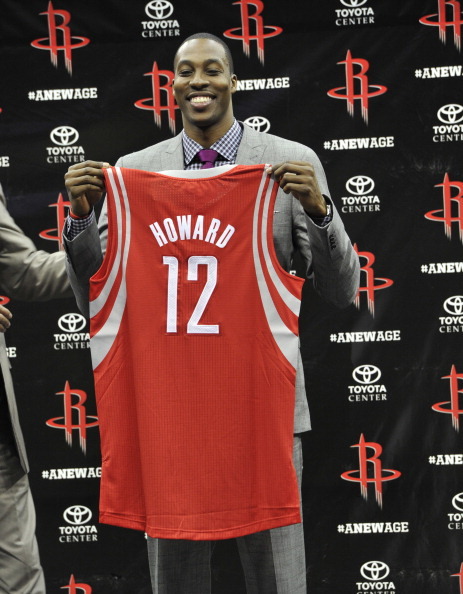 shokenchi in those multiple pictures Howard looks to be a bit shorter than Olajuwon and McHale and taller than Hayes. 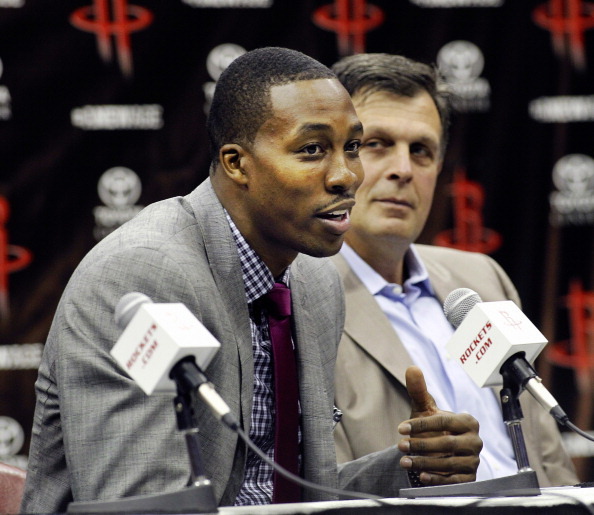 McHale in the 80s I remember was referred to as 6'9" and Bird was 6'8". 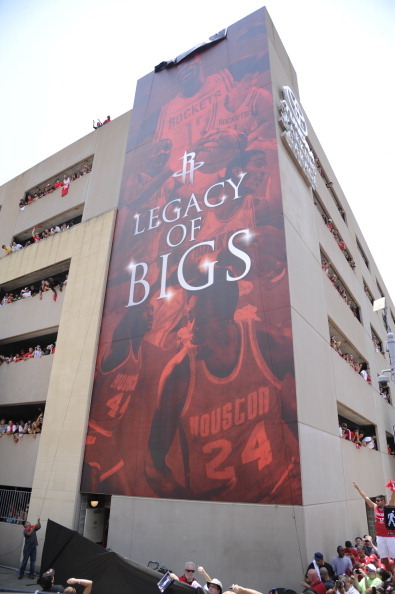 Hakeem was around 6'9" - 6'10" but listed at 7 feet like Ewing. 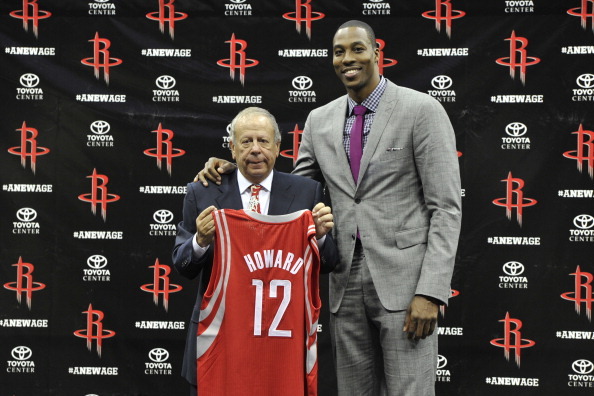 Elvin Hayes is supposed to be 6'9". not sure what he was actually listed in the 60s and 70s. 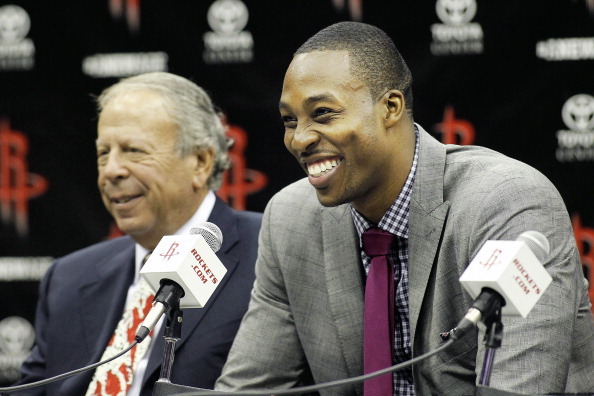 ppl were crying about this a while back. 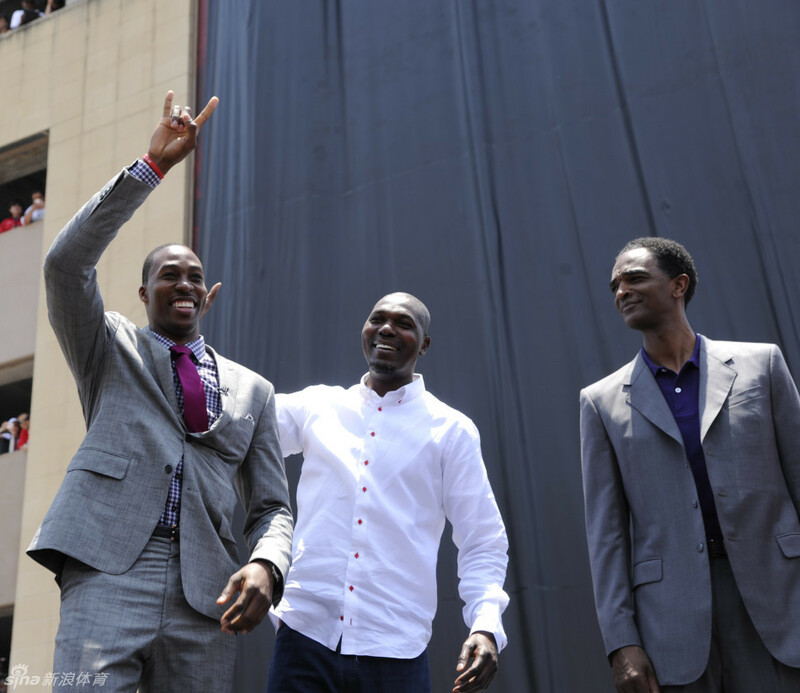 how tall Howard and Bynum are, how tall Olajuwon and Ewing were etc. 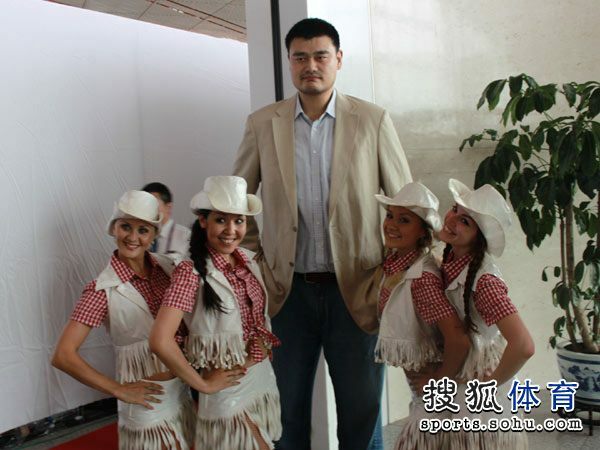 look at the size of Yao's head lol. 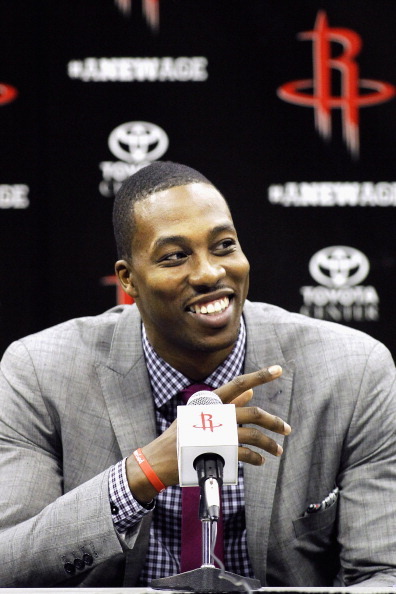 he has the cranial capacity of a Howard and a half. 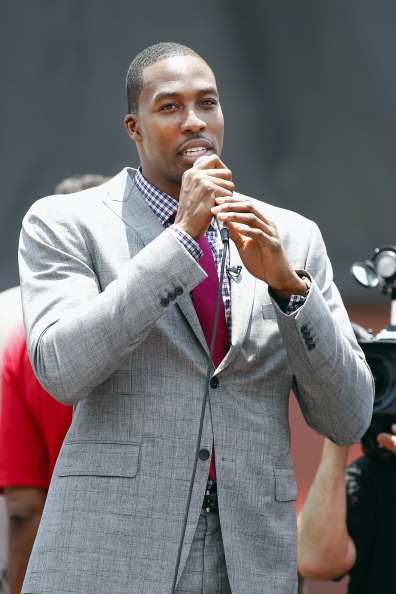 how does this dude wear hats.